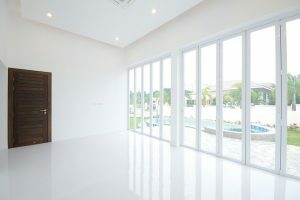 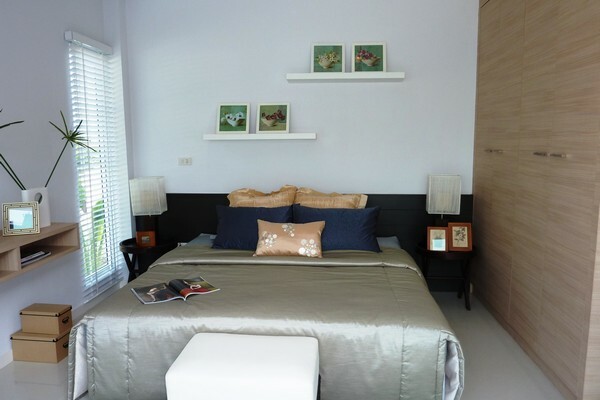 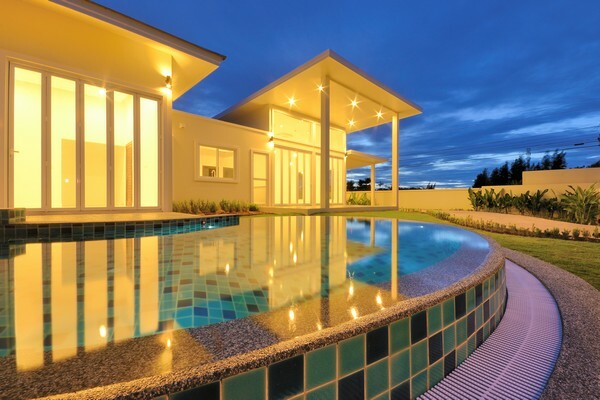 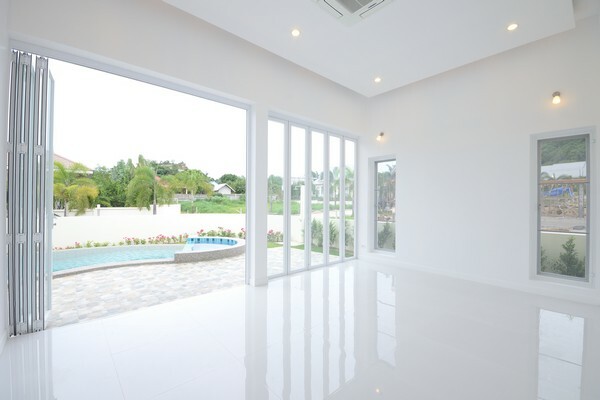 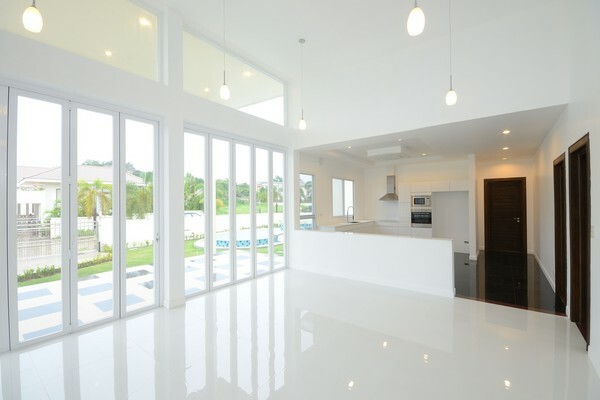 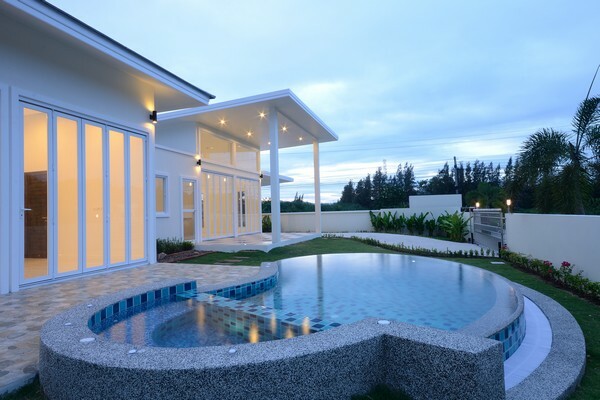 This ultra-modern brand new pool villa is mere minutes from beaches and Hua Hin’s only ocean front golf course. 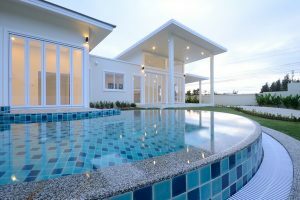 Next year it will be 3 minutes from Vana Nava, an 800 million baht water park designed by the world’s leading company who has designed 9 out of the top 10 top waterparks in the world. 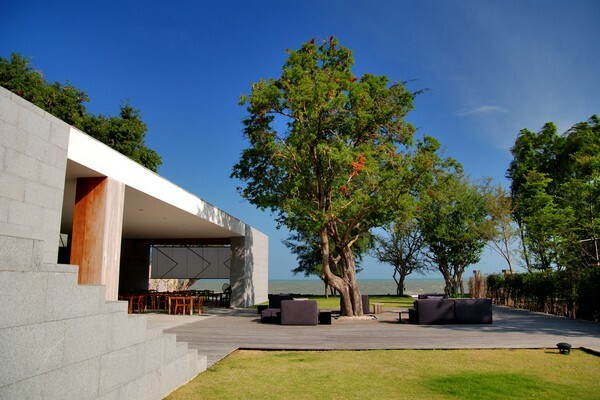 The following year it will be the same distance to Hua Hin’s newest Ultra Mall, Blu Port a 4 billion baht project. 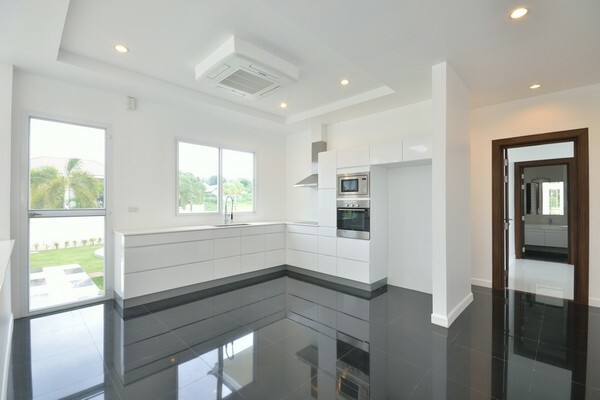 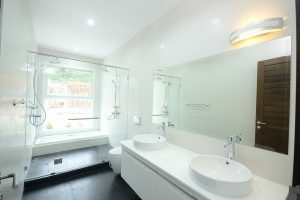 This ready to move into home is filled with high end appliances and fixtures. 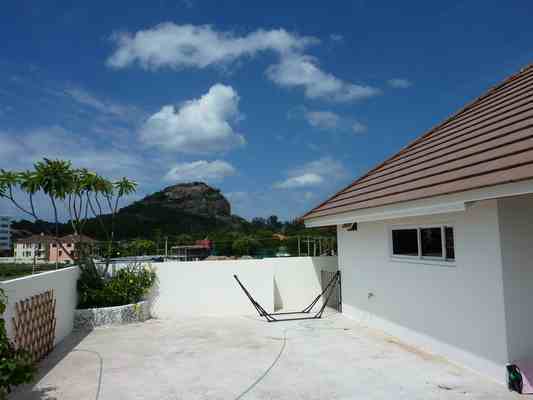 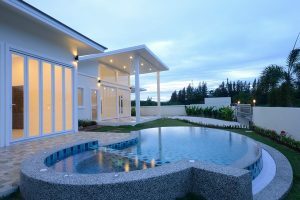 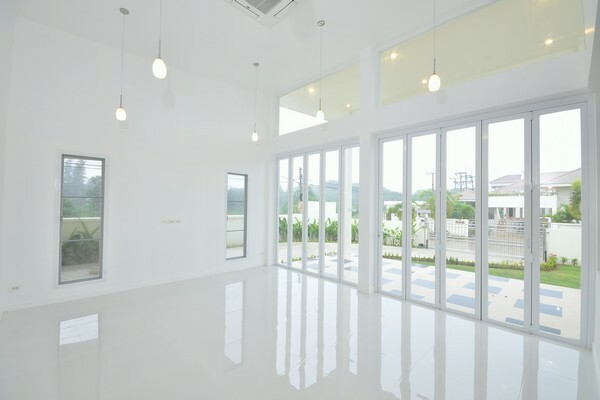 A few additional plots still remain to build several different house styles available from this Bangkok and Hua Hin developer.